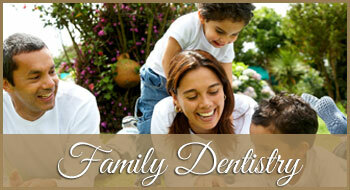 Are you seeking out a dentist for gentle and personal care? 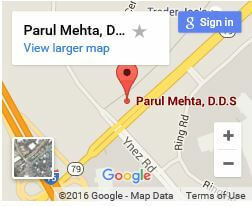 In Menifee that’s Dr. Mehta. 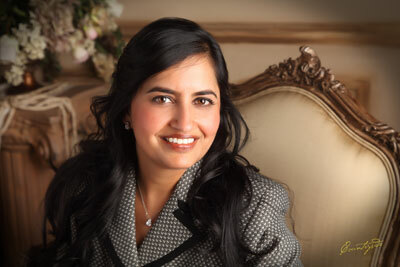 She and her team are dedicated to providing the best that dentistry has to offer. As you might expect, our modern office has the latest equipment in a comfortable setting. 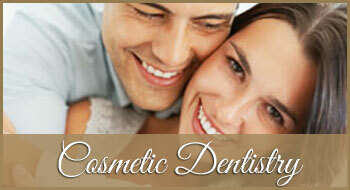 Our services feature cosmetic dentistry and implant dentistry as well as family dentistry. 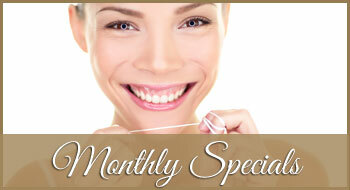 We feature Six Month Smiles as the latest improvement over traditional braces. 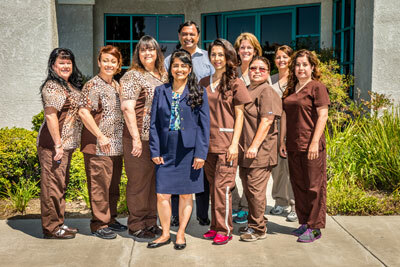 We’re also ready to take care of your dental emergencies in Menifee. Our Temecula office is a short drive from Menifee and we are open on Saturdays for our Menifee patients. 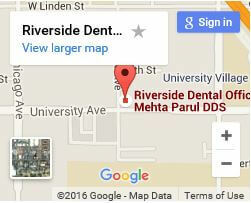 Dr. Mehta is a graduate of University of Indiana School of Dentistry and has been in practice for over 14 years in Riverside County. Voted top dentist from 2009 through 2014 by Inland Empire Magazine, she is a member of the American Dental Association, the California Dental Association, and the Tri-County Dental Society. A specialist in cosmetic dentistry, Dr. Mehta is Lumineer and Implantology certified and is a certified Premier Preferred Invasilign Provider. 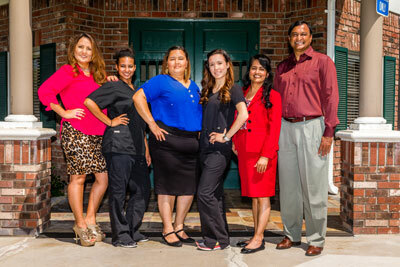 She and her team are active in continuing education in order to offer you the latest in dental care. Hi-Tech Smiles provides the full range of family dentistry services, including regular exams and cleaning as well as tooth extractions. We have a special focus on gum conditions and their treatment. If we identify any problems, we promise to always discuss your dental and periodontal conditions with you so that you can make an informed decision on how to proceed. Your smile says a lot; it’s a key part of that all important first impression. If you’re too embarrassed to smile, or cover your mouth when you talk or laugh, people will notice. It’s important to be confident, not only for your personal feelings but also in how others interact with you. Often, the benefits of cosmetic dentistry go beyond the cosmetic and may actually improve your dental health. We offer the most effective teeth whitening treatments as well as natural-looking composite fillings, and our orthodontic services include Six Month Smiles. 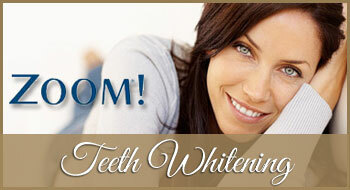 At Hi-Tech Smiles we’re also experts in crowns, Lumineers, veneers, inlays, and onlays. Most people are amazed by how far these procedures can go. Not only in improving the appearance of heavily stained teeth, but also in closing gaps and evening out shapes as well as in repairing decayed, broken, chipped, or cracked teeth. For our patients who may have lost one or more teeth, we’re also up to date on the latest advances on bridges, partials, dentures, and implants. There’s no need to be embarrassed by gaps, crowded, or overlapping teeth. Or put up with an overbite or underbite. There’s also no need to go through the discomfort and embarrassment of metal braces. For adults traditional braces may take a year or more to re-align your teeth! Six Month Smiles are clear braces that gently move the teeth. The full process usually takes about 6 months, sometimes less, even for adults. Of course the procedure is ADA approved and known to be effective and safe. 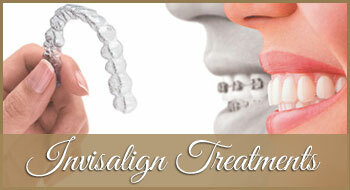 We also offer Invisalign, a series of custom made trays. If you’re missing one or more teeth, or just lost a tooth, an implant is often the best course of action. Implant dentistry replaces the lost tooth, including the anchoring root, with an artificial one. The exposed portion is made to match your other teeth, so it’s unnoticeable. The implant keeps nearby teeth from shifting, which can lead to bite, dental, or jaw health problems. Plus you won’t have the hassle or discomfort of a removable bridge. An implant is by far the closest substitute for the original tooth. The implant is durable, long lasting and comfortable. You won’t have any speech or eating problems. Plus they’re convenient; taking care of them is simply a part of your regular oral hygiene. Don’t Put It Off. If you have any dental concern in Menifee, just give us a call. With modern cosmetic dentistry there’s no need to continue to put up with any embarrassment or difficulties eating. If you’re in pain, let us take care of it promptly. Putting it off will only make things worse. Besides continued suffering, damage is likely to grow. Dr. Mehta provides gentle personalized attention, and with modern procedures even a root canal really isn’t painful. And don’t forget regular check-ups to avoid those problems in the first place. Don’t let financial issues stand in your way. Hi-Tech Dental is pleased to work with you on ways to offset costs, and can provide in-office insurance and financing. Dr. Mehta and her entire team are dedicated to top-quality care with the absolute minimum discomfort. That’s why we’re the award-winning choice for the Menifee area.